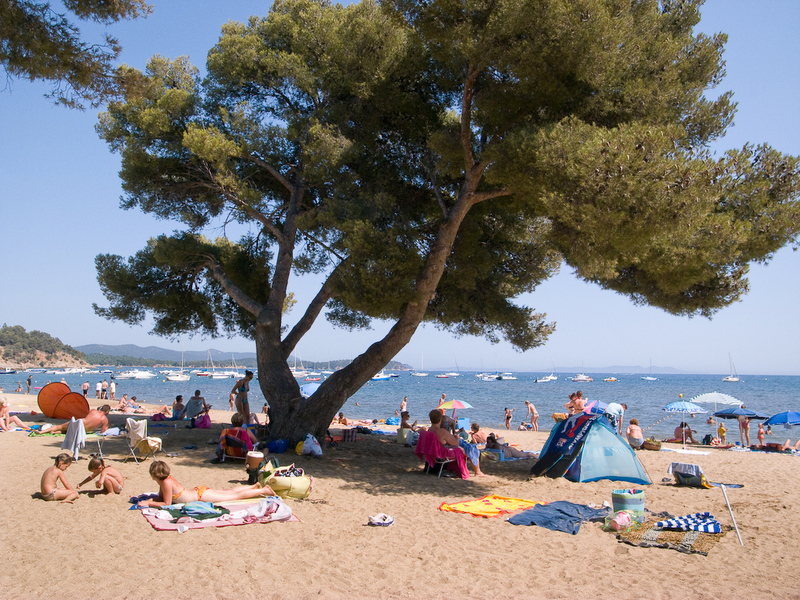 Plage de L’Argentière in La Londe-les-Maures is our largest beach. Located less than 10 mins from “Camping de la Pascalinette”, it is a popular beach and families with children will appreciate the tall pine trees on the right, offering welcome shade (Argentière Ouest). The central section includes a special area for kitesurfing and windsurfing. Several private beaches and restaurants are also available. The departure point for the snorkelling trail. Two reduced mobility accesses are available (one to the far West and one to the East of Plage de l’Argentière, La Londe, Var region). Several free car parks are available.